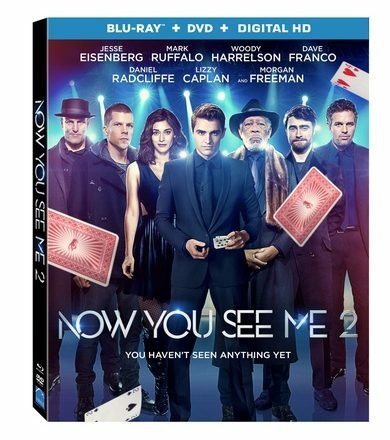 Now You See Me was a fun flick that boasted an impressive cast. I didn’t get a chance to see Now You See Me 2 when it came out in theaters. Lionsgate just announced that the movie will be coming to Digital HD on August 19, with a subsequent Blu-ray Combo Pack and DVD release on September 6. Don’t ask my why it says “subject to change”. It probably won’t change.